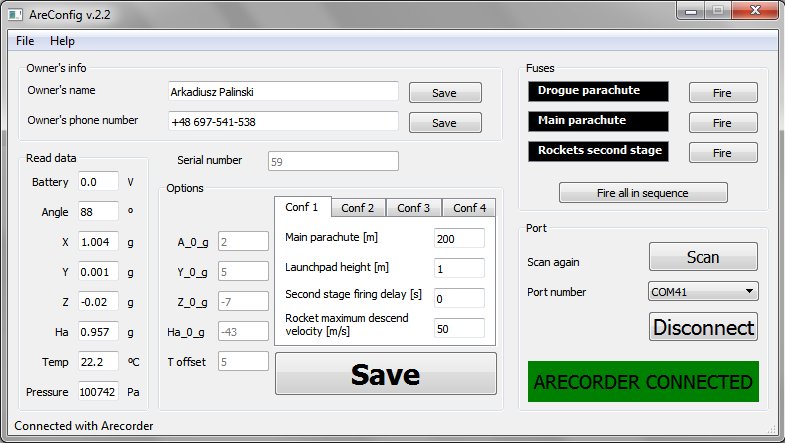 AreConfig is a program which allows changing options and calibration of flight computer “Arecorder”. Program exists in two versions – user version and calibration version. changing serial number (only calibration version).